Dr. John and I share a keen interest in baseball statistics, a field that has hit mainstream culture with the popularity of Moneyball as a book and now a motion picture. Although I’m embarrassed to admit I have not seen Moneyball on the big screen (but I did see The Muppets on Thanksgiving! ), most of the people who did see the movie could probably not identify Voros McCraken and his role in the empirical revolution. You have my respect as a true baseball stat geek if you can identify Mr. McCracken, the Ugueto Effect, and understand the significance of MORP. Enough baseball for now…on to swimming! The thought process behind “Moneyball” thinking is similar to that of determining optimal breathing patterns in swimming events. Understand costs vs. benefits of each situation, and decide where to invest limited resources to gain the greatest return. 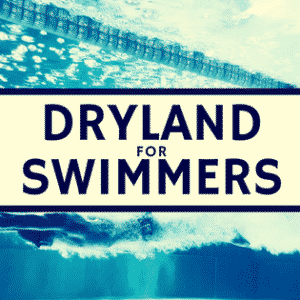 Each breath in the pool is a limited resource that comes with a benefit (more oxygen and reduced respiratory or metabolic waste accumulation) but also carries a cost (loss of velocity due to impaired hydrodynamics). The same can be said for every single play and every single transaction in baseball. In this analogy, we can view each freestyle stroke as an event with two possible choices: to breathe or not to breathe. Whatever decision you make for that particular stroke/event will affect subsequent events, though recognize that because of flip turns and the metabolic process, the cost: benefit calculus changes constantly. In baseball, for example, the expected value with each pitch, which is itself a discrete event, changes the probability of a certain outcome for the game. Modern statisticians with the help of advanced computer formulae are able to calculate the expected win percentage based on these outcomes, as this value is constantly changing during a game. Dr. Mullen already provided a thorough review of the literature in his Inspiratory Muscles series and in an earlier post “Does Breathing Frequency Influence Inspiratory Muscle Fatigue.” Consult these other posts if you have not read them (and re-read them if you have! ), but here is a brief summary on what we know from the literature on inspiratory muscles and swimming. Inspiratory muscle fatigue occurs with restricted breathing. Yes, counterintuitive, but holding your breath adds stress on inspiratory muscles. Breathing disrupts the stroke and slows you down biomechanically. Most coaches and swimmers know this via experience. Inspiratory muscle performance can be improved via training but is not to be confused with hypoxic swimming, which is a separate strategy. One limitation of the research is that it hasn’t formally explored the costs and benefits of when to breathe at different points in the pool. Not all breaths are created equal. An extra breath mid-pool in a 400LCM free has far different implications than sneaking a breath off the final wall of a 100yd free. Additionally, the research has yet to account for hybrid breathing patterns (i.e. 2-2-3-3-2-2). I’m not mentioning this as a criticism of the literature, but rather to note that formal research is still relatively new and it has only recently established inspiratory muscle fatigue as a very real and significant phenomenon. Let’s say your team is in the field. Bases loaded, tie the game at 4-4, the bottom of the seventh, zero outs, Albert Pujols at bat. With apologies to our international friends who may not be familiar with America’s Pastime…in which situation is the value of an out greater, and thus more demanding that you deploy your best pitching and fielding resources? Clearly, getting an out in scenario 1 is worth more than in scenario 2, in which a high school pitcher with a lefty catcher and lefty shortstop could still preserve a win for his team. The expected win likelihood in these situations is vastly different, and therefore requires different investment strategies by the manager. So how can we apply this to swimming? Last week, USA Swimming released some interesting data from last year’s 100m men’s freestyle finals at Worlds. In a fantasy world, we’d obtain real-time data on lactate accumulation, muscle fatigue, turning velocity, hydrodynamics, stroke technique, and turn technique to calculate the effect of each breath on the overall outcome. This data can help us optimize how many breaths to allocate for each leg, but also to determine where those breaths should take place. Fatigue (and pain!) develops in a non-linear fashion, so there are limitations to thinking in terms of only one breathing pattern, such as every two or every four. 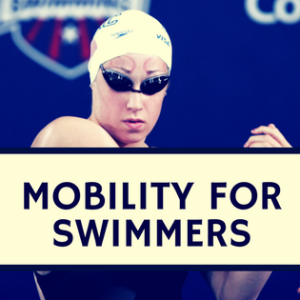 Breathing strategies will be different for each swimmer, but counting these breaths per intermediate leg in the race is progress toward our goal of greater knowledge. Swimmers are traveling fastest at the start, and as expected, take the fewest breaths. However, for a swimmer taking two breaths in the first 25m and six in the second 25m, can we quantify or at least know with greater certainty whether this breathing pattern is optimal? For now, we’ll have to get by with the data that we actually have and make a hybrid of quantitative and qualitative judgments based on that data. The winner took the second most breaths in the race. As noted in the literature, overly restrictive breathing can induce IMF and waste product accumulation. Only one swimmer (Hayden) had more than a two breath difference between the 50s. This would suggest a consistent pattern is more effective than taking extra breaths at the beginning or end of the race. Vastly different strategies in the first 15m off the wall, from four breaths (Adrian and Magnussen) to one breath (Cielo and Hayden). Although general rules may exist, individual variation is to be expected. Although we can’t make any grand pronouncements for swimming as a whole based on one race of eight swimmers separated by less than one second, this data does reflect different strategies to achieve similar times, but we still don’t know who is maximizing performance. To determine who is maximizing individual performance, we’d need to calculate expected values of each breath in the pool, where the expected value is a function of inspiratory muscle fatigue, metabolic/respiratory waste products, O2 availability, turning proficiency, and velocity at various stages of the race. One day a math whiz may gather up this info and create a model that allows coaches to specifically map out when and where breaths should be taken based on the expected value of the breath. Just as a baseball manager or general manager seeks to maximize the expected value with a given set of player inputs, a swim coach will maximize the expected value of performance (or minimize race time) by exploiting opportunities for speed and minimizing costs that impair speed. Understanding the actual costs and benefits of each breath will help refine this calculation. Fortunately, we don’t need to haul around respiratory measuring devices, lactate meters, touch pads, 3d motion sensors, to gather meaningful data. It would be nice, but all is not lost! We can still gather valuable information with just a clipboard and stopwatch. Research on inspiratory muscle fatigue is fundamental to the thought process. 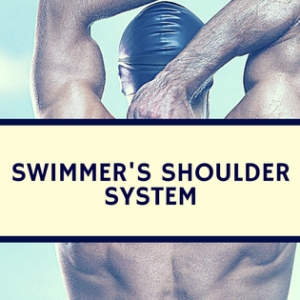 Individual observation of each swimmer can help coaches and athletes take this knowledge to settle on the best strategy to optimize the interrelationship between breaths in the race.